Zone 8. Australia Canna Lily. 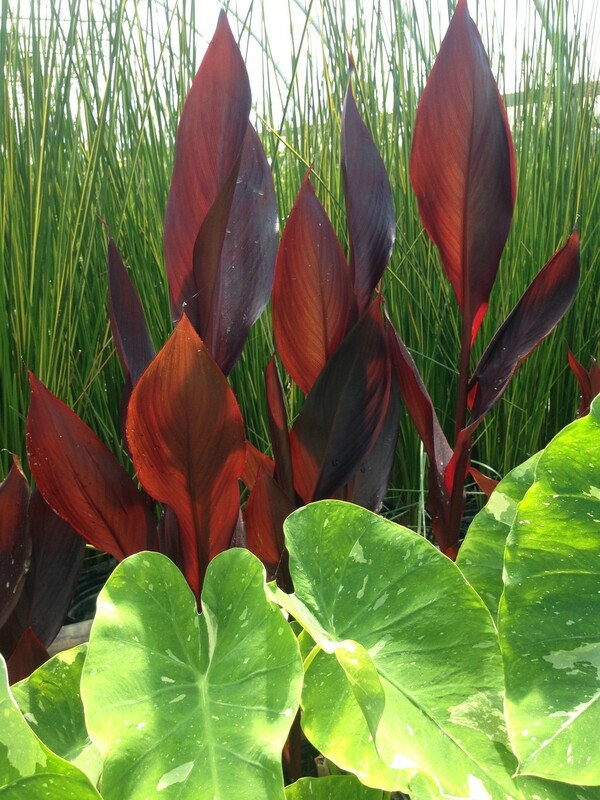 Large burgundy-black leaves are bold and compliment the brilliant red flowers. 4' to 5' tall.